Inside Saanich South: Nuts about Hazelnuts!! Many of you will know how much I've been chatting up hazelnut production in our Province over the past 10 years! This Summer I was able to launch a hazelnut revitalization project from my Ministry with hopes to relaunch an industry that has so much potential. Guess who noticed my enthusiasm? A company you will know as Ferrero who makes many sweet treats including Ferrero Rocher chocolates, Nutella and Kinder Surprise! 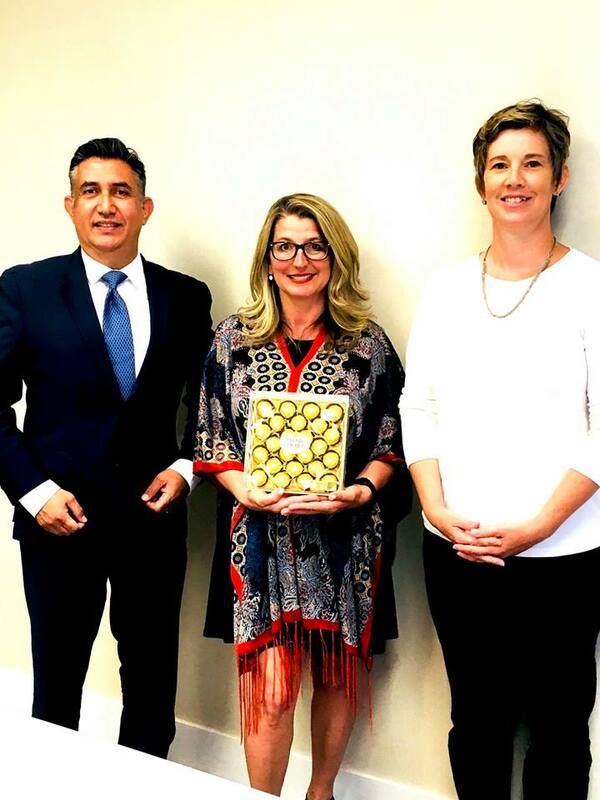 Hazelnuts are very important to their operations and so today I met with Jorge Acevedo from Ferrero Luxembourg and Barb Yates who works for Ferrero as a Hazelnut Agronomist. Looking forward to our follow up meetings to come! Great Times at Saanich Sunday Farmers' Market! Awesome News for Agricultural Innovation! New additions to our team!